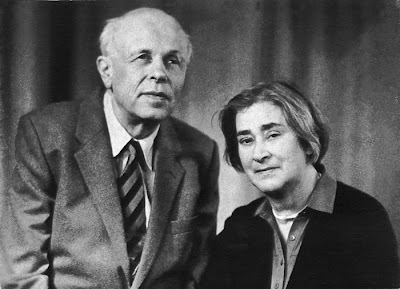 Not many of the readers of this blog will recognize or remember who Andrei Sakharov was, or his widow Yelena Bonner. Or what they did for human rights and freedom in the Soviet Union. Many say that the Soviet Union would never had collapsed but for the tireless work of that remarkable couple. …Read Sakharov’s Memoirs. It’s a pity his Diaries haven’t been translated; they were published in Russia in 2006. Apparently, the West isn’t interested now in Sakharov. The West isn’t very interested in Russia either, a country that no longer has real elections, independent courts, or freedom of the press. Russia is a country where journalists, human rights activists, and migrants are killed regularly, almost daily. And extreme corruption flourishes of a kind and extent that never existed earlier in Russia or anywhere else. So what do the Western mass media discuss mainly? Gas and oil — of which Russia has a lot. Energy is its only political trump card, and Russia uses it as an instrument of pressure and blackmail… Russia will remain the way it is now for decades, unless there is some violent upheaval. …They say people are coming together — but in reality, they are growing apart. And that isn’t because an economic depression suddenly burst forth, and swine flu to boot. [It] began on September 11, 2001. At first, anger and horror was provoked by the terrorists who knocked down the Twin Towers of the World Trade Center and by their accomplices in London, Madrid and other cities, and by the shahids, suicide bombers who blew themselves up at public spaces like discotheques and wedding parties, whose families were rewarded $25,000 each by Saddam Hussein. Later, Bush was blamed for everything, and as always, the Jews — that is, Israel… So it is about Israel and the Jews that I will speak… At one time, the Nobel Peace Prize was the highest moral award of our civilization. But after December 1994, when Yasser Arafat became one of the three new laureates, its ethical value was undermined. I haven’t always greeted each selection of the Nobel Committee of the Norwegian Storting with joy, but that one shocked me. And to this day, I cannot understand and accept the fact that Andrei Sakharov and Yasir Arafat, now posthumously, share membership in the club of Nobel laureates. …Now, a new motif is fashionable (in fact it’s an old one): ‘Two states for two peoples.’ It sounds good. And there is no controversy in the peace-making Quartet, made up of the U.S., the UN, the EU, and Russia (some great peace-maker, with its Chechen war and its Abkhazian-Ossetian provocation). The Quartet, and the Arab countries, and the Palestinian leaders (both Hamas and Fatah) put additional demands to Israel. I will speak only of one demand: that Israel accept back the Palestinian refugees. And here a little history and demography are needed. According to the UN’s official definition, refugees are considered those who fled from violence and wars, but not their descendants who are born in another land. At one time the Palestinian refugees and the Jewish refugees from Arab countries were about equal in number — about 700-800,000. The newly-created state Israel took in Jews (about 600,000). They were officially recognized as refugees by the UN Resolution 242, but not provided with any UN assistance. Palestinians, however, are considered refugees not only in the first generation, but in the second, third, and now even in the fourth generation. According to the UN Works and Relief Agency’s report, , the number of registered Palestinian refugees has grown from 914,000 in 1950 to more than 4.6 million in 2008, and continues to rise due to natural population growth. All these people have the rights of Palestinian refugees and are eligible to receive humanitarian aid. The entire population of Israel is about 7.5 million, of which there are about 2.5 million ethnic Arabs who call themselves Palestinians. Imagine Israel then, if another five million Arabs flood into it; Arabs would substantially outnumber the Jewish population. Thus, created next to Israel will be a Palestinian state cleansed of Jews, because in addition to the demand that Palestinian refugees return to Israel, there is also the demand that Judea and Samaria are cleansed of Jews and turned over to Palestinians – while in Gaza today there is not a single Jew already. The result is both strange and terrifying, not only because Israel will essentially be destroyed… Because the plan “two states for two peoples” is the creation of one state, ethnically cleansed of Jews, and a second one with the potential to do the same thing. A Judenrein Holy Land – the dream of Adolph Hitler come true at last. So think again, those who are still able, who has a fascist inside him today? And yet I still think (and some will find this naïve) that the first tiny, but real step toward peace must become the release of Shalit. Release – and not his exchange for 1,000 or 1,500 prisoners who are in Israeli prisons serving court sentences for real crimes. It is time for the world to stop trying to appease the Arabs and listen to the truth. The true obstacle to peace in the region is not caused by Israel, but by the Arabs, who couldn’t destroy Israel in battle and will attempt to destroy Israel through diplomatic means. And the world will let them. For it is acceptable to hate and despise the Jews. It is time for the world to listen to the voice of a woman who lived under some of the worst repression that humanity has imposed upon others. 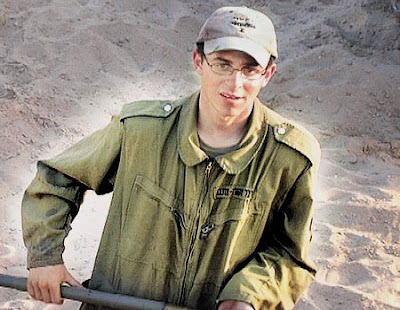 It is time to bring Gilad Shalit home.